After making his rounds overseas, Philly’s favorite white boy is back in King of the Dot. Battling in Don’t Flop with an impressive showing against crowd favorite Blizzard, Rone came away with the W and added yet another body to his ever growing war path. With recent victories over Okwerdz and Protege and a hotly contested battle against Nils M/ Skils, Rone has more than proven himself a threat and is now content to take high profile matches against fellow top tier opponents. Known largely for his quick wit and effortless flow, hard hitting punchlines and screw-face inducing bars have recently begun to work their way into his repertoire. Seen most frequently as of late in King of the Dot, Rone was invited to take part in the always classic Vengeance 2 event against arguably his toughest opponent yet in Fresco. Without a doubt one of the most popular battlers to ever step into the ring, Fresco does not at first glance appear to be a typical battle rapper. Certainly one of the most successful battlers of the written era, many people were caught off guard by the Rockford, IL emcee. Having no involvement with the scene prior to 2008, Fresco was not on many people’s radars. Coming out of the gates hot, Fresco took down Moodswangz to begin his career. Since then, his resume has grown to include names such as Kid Twist, Soul Khan and Real Deal, among other classic showings against a variety of opponents. With a unique personality and an even more unique flow, Fresco’s originality is one of his biggest assets, always approaching opponents from unexpected angles and with devastating schemes. 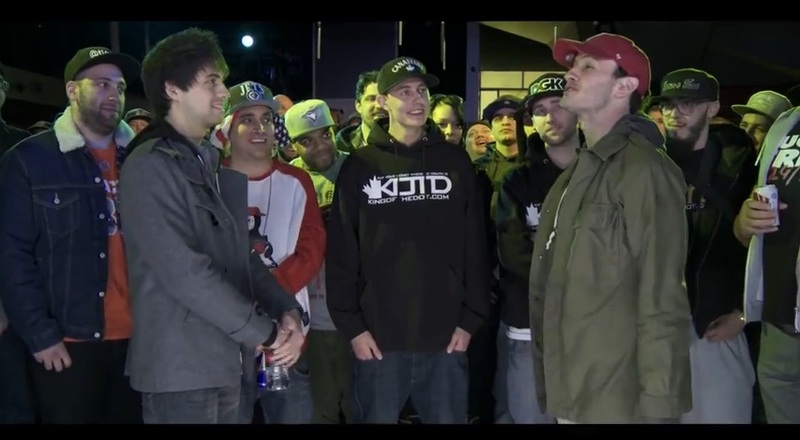 Making his first 1 vs. 1 appearance in King of the Dot, Fresco brought his A game against Rone, making this one of the best battles of the night. This entry was posted in Fresco, King Of The Dot, Rone and tagged Battle Rap Lyrics, Fresco, Fresco vs Rone Lyrics, king of the dot, Rap Battle Lyrics, Rone, Rone vs Fresco Lyrics. Bookmark the permalink.